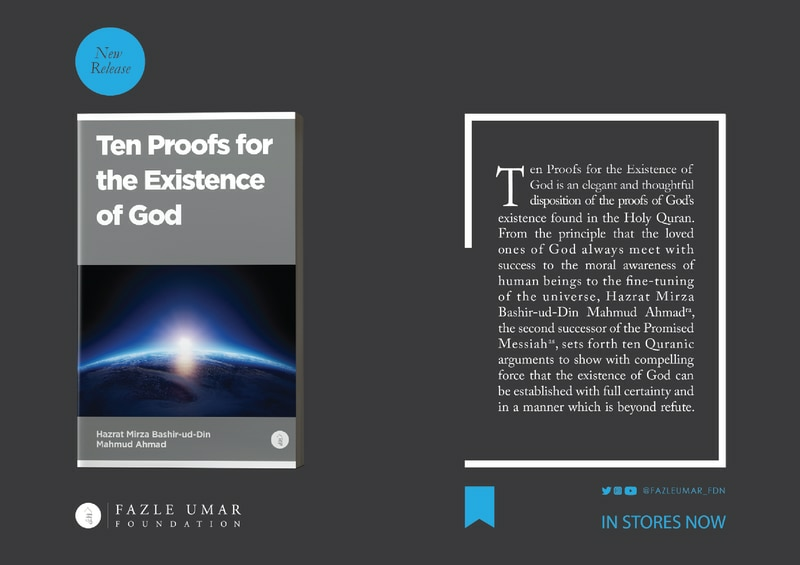 Ten Proofs for the Existence of God is a new translation published by the Fazle Umar Foundation of an Urdu essay by Hazrat Mirza Bashiruddin Mahmud Ahmadra, the second head of the Ahmadiyya Muslim Jamaat. 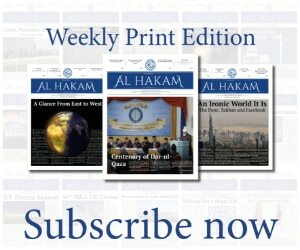 The following article is an adapted version of the introduction of this book for the Al Hakam’s Book Intro feature. The quest to find the truth about the existence of God is one of the most fundamental endeavours of human history and the foundation on which other essential questions about life can be examined. Where did we come from? Why are we here? Do our lives have a purpose? What happens to us after we die? Ever since this search began, oceans of ink have been written on the subject and no less blood has been spilled in seeking answers to the question of whether God exists. From the primitive belief systems of our early ancestors to the sophisticated religions of the contemporary world by way of the philosophical enquiries of figures like Thomas Aquinas, the pursuit of a supreme, perfect and transcendent being continues to this day. In seeking answers to this question, Hazrat Mirza Bashiruddin Mahmud Ahmadra, the second head of the Ahmadiyya Muslim Jamaat, wrote a short essay for the magazine Tashheez-ul-Azhan that was published in March 1913 under the title Das Dalail Hasti Bari Ta‘ala. It was later reproduced in the first volume of Anwar-ul-Uloom. Recently, an English translation of this essay has been published by the Fazle Umar Foundation in the form of a book with the title Ten Proofs for the Existence of God. In this book, Hazrat Mirza Bashiruddin Mahmud Ahmadra turns to one of atheism’s most basic premises – “if God exists, why cannot we see Him?” – to undertake his own exploration of this question. For this, Huzoorra begins by demonstrating through reason and logic that sight alone is not the ultimate arbiter of truth, rather human beings are able to determine objects, concepts and information by the other five senses and also through such things as intelligence and intuition. After demonstrating the falsity of this assertion, Huzoor then turns to the verses of the Holy Quran to posit ten arguments in support of the belief in the existence of God. Some of the proofs he offers are similar in nature and content to the established arguments that theists have used for centuries. Others are unique to the Holy Quran. From this Huzoorra also uses other similar forms of evidence from the Holy Quran, such as the promise of divine support for all messengers and prophets as well as the truth and fulfilment of revelation to show that God exists. In this way, Ten Proofs for the Existence of God is a bold, compelling and thought-provoking book which will cause the reader to turn, once again, to one of life’s most fundamental questions. The book is available to buy at all Ahmadiyya Muslim Jamaat bookshops and stalls.